Messerle & Sons is a working cattle ranch that strives to follow the ever evolving standards in the cattle industry. Our goal is to produce healthy cattle in a low stress environment. 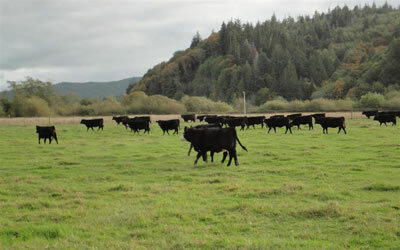 We are located in a mild climate that is conducive to growing grass and cattle. Whether it be leasing ground, partnering on cattle, or finding some other way to service a customer, we are always in the market to find grass for cattle. With our knowledge of cattle, along with our knowledge of maintaining a cattle ranch, we can offer many services in the production of cattle. Mobile scales, standard scales. See our innovative mobile weigh scale at mobileweigh.com.